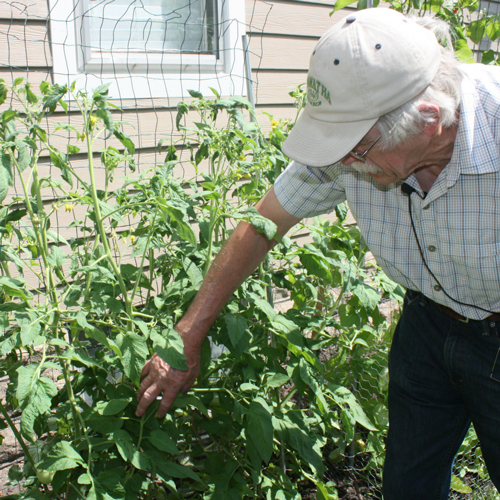 Jim Tjepkema, like many seed savers, gardened as a child with his parents. 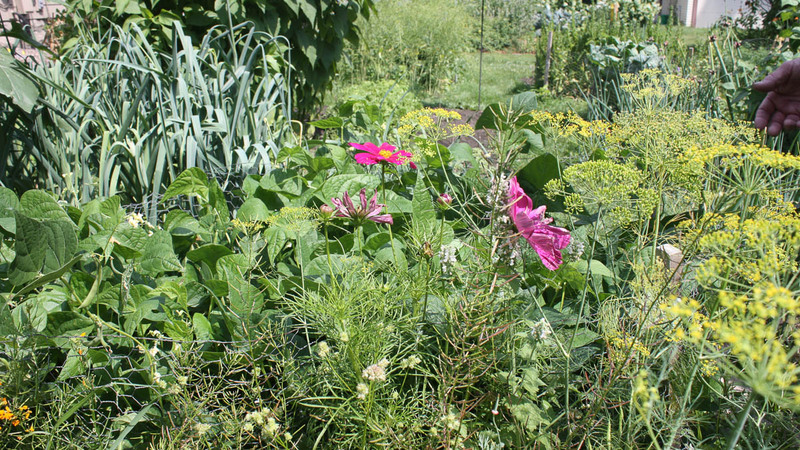 “My dad always had a garden as I was growing up. I helped some with planting it,” he remembers, “You know, my mother liked to do canning too, so we always had canned vegetables and some frozen as well, so that started me out in gardening.1” After graduating from high school, Jim attended Michigan State University, studying Entomology in the School of Agriculture. He continued his education at MSU, researching nematodes and their effect on blueberry crops for his Master’s thesis. Jim furthered his research on nematodes while obtaining his doctorate at Purdue University in West Lafayette, Indiana. 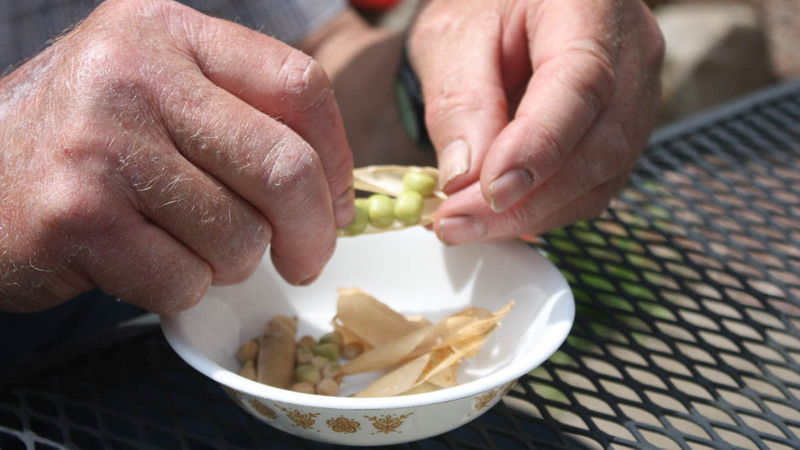 In 2017, Jim listed listed 81 varieties in the Exchange from a wide assortment of crops such as bean, amaranth, mustard, soybean, onion, spinach, and many more. 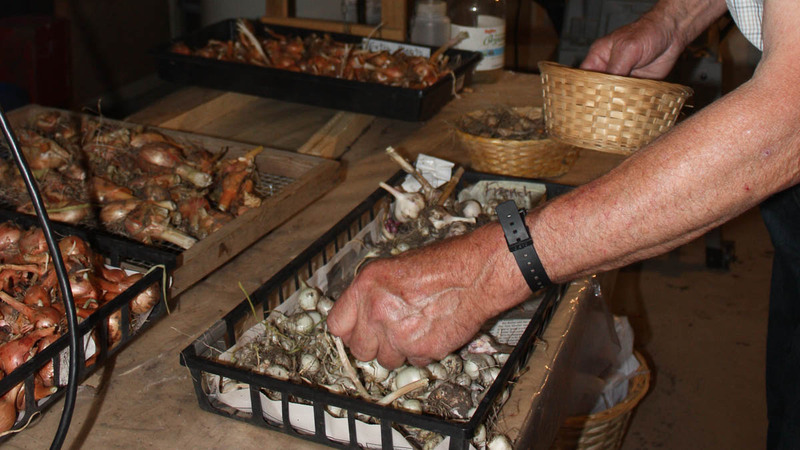 You might assume that his extensive background in agriculture and large-scale seed-saving requires acre-upon-acre of farmland. 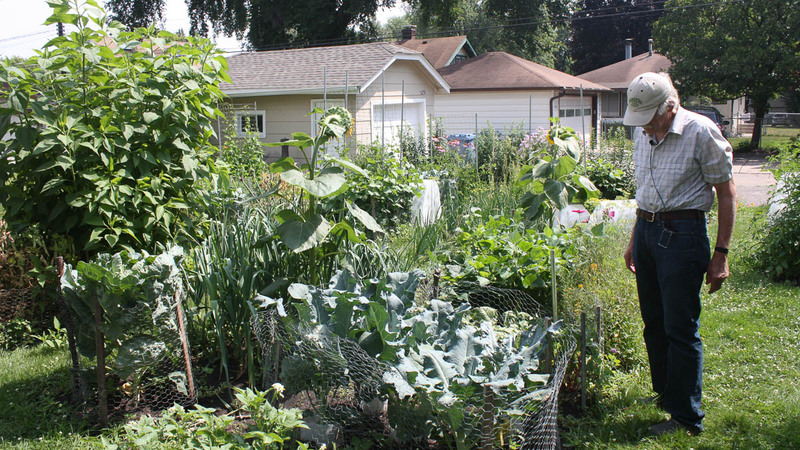 In fact, Jim and his wife Kathryn, live in the heart of Minneapolis where Jim makes the absolute most efficiency of their small, backyard garden with lawn space to spare. The Tjepkema’s garden is a precise and orderly maze of vegetable beds bordered by neatly edged turf. 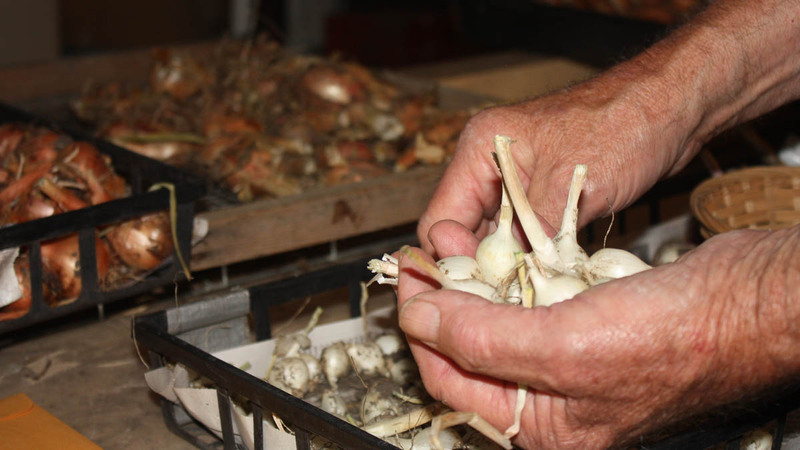 Jim plants both heirloom and hybrid varieties, adequately spacing those which may cross-pollinate one another. He provides plenty of flowers and herbs to attract pollinating insects, therefore Jim hand-builds isolation cages when he wants to be absolutely certain of varietal purity. A vertical trellis acts as a privacy screen along the side yard and provides support for a lush grape vine from a variety developed by the late Elmer Swenson, renowned amateur grape breeder from Wisconsin. Tjepkema, Jim. "Jim Tjepkema." Interview by Katie F. Gove and Sara J. Straate. July 19, 2017. Borgendale, Anne. "Jim Tjepkema honored with SFA Distinguished Service Award." The Corner Post 65 (2010): 14,29. 2010. Accessed December 13, 2017. http://www.sfa-mn.org/documents/cornerpost/2010/cp_spring10.pdf.